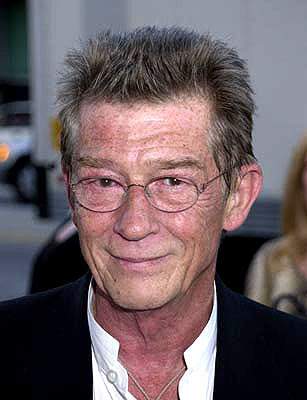 John Hurt has joined Kirsten Dunst, Charlotte Gainsbourg, Kiefer Sutherland, Charlotte Rampling, Alexander Skarsgård, Stellan Skarsgård and Udo Kier in Lars von Trier's Melancholia. As we reported in April, filming begins in Sweden this July. Hurt is also in the two upcoming Harry Potter films. Abbas Kiarostami has denounced the detention of fellow Iranian filmmaker Jafar Panahi as an "attack on art itself", reports The Guardian. Panahi, detained in March and charged with making anti-government material, is said to be on hunger strike. Following Roman Polanski's statement speaking out against his own Swiss arrest and pending extradition to the US, leading directors at this year's Cannes have signed a petition urging the Swiss authorities to reject the requested extradition. Film-makers who signed include Jean-Luc Godard, Mathieu Almaric and Xavier Beauvois. Following his impressive turn in Roman Polanski's superior political thriller The Ghost, Ewan McGregor has joined Terry Gilliam's much-delayed and once-abandoned project 'The Man Who Killed Don Quixote', reports Dark Horizons. McGregor joins Robert Duvall, who will play the lead character. Finally, two exciting videos this week. Cineuropa have posted the full trailer for Apichatpong Weerasethakul's latest feature Uncle Boonmee Who Can Recall His Past Lives, while SlashFilm reports that David Lynch has directed Marion Cotillard in 'Lady Blue Shanghai', a long-form commercial for Dior.